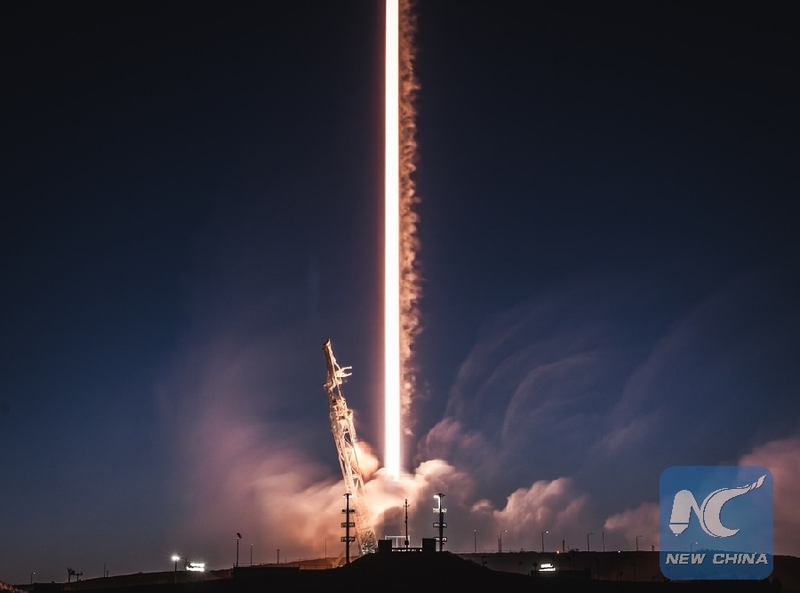 LOS ANGELES, Feb. 11 (Xinhua) -- The Pentagon will evaluate the U.S. Air Force's certification of Elon Musk's SpaceX launch vehicles, according to a memo on Monday. "Our objective is to determine whether the U.S. Air Force complied with the Launch Services New Entrant Certification Guide when certifying the launch system design for the Evolved Expendable Launch Vehicle-class SpaceX Falcon 9 and Falcon Heavy launch vehicles," said Deputy Inspector General of U.S. Department of Defense Michael Roark in the memo. "We will perform the evaluation at the Space and Missile Systems Center, a subordinate unit of Air Force Space Command, headquartered at Los Angeles Air Force Base in El Segundo, California," said the memo. In December, SpaceX launched a new breed of GPS satellite for the U.S. military, marking the private space company's first national security space mission for the country.